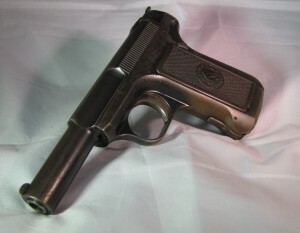 Cure for the common pistol. Built in the Kimber Custom Shop, Raptor .45 ACPs take their name from dynamic slide and frame serrations, feathered logo grips and finish accents. 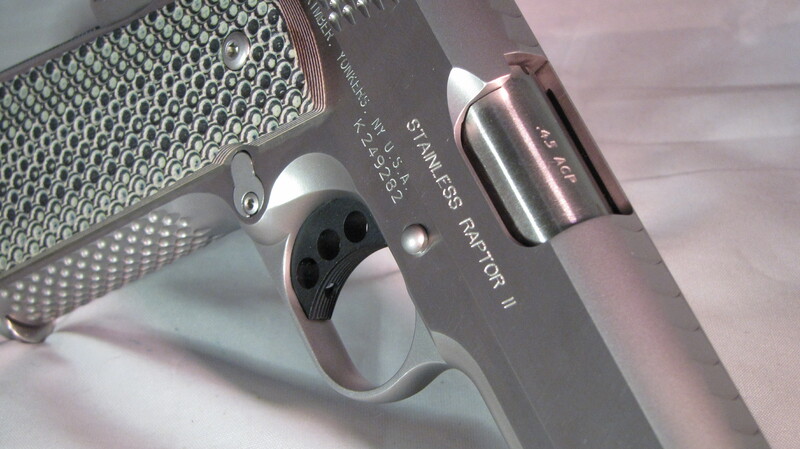 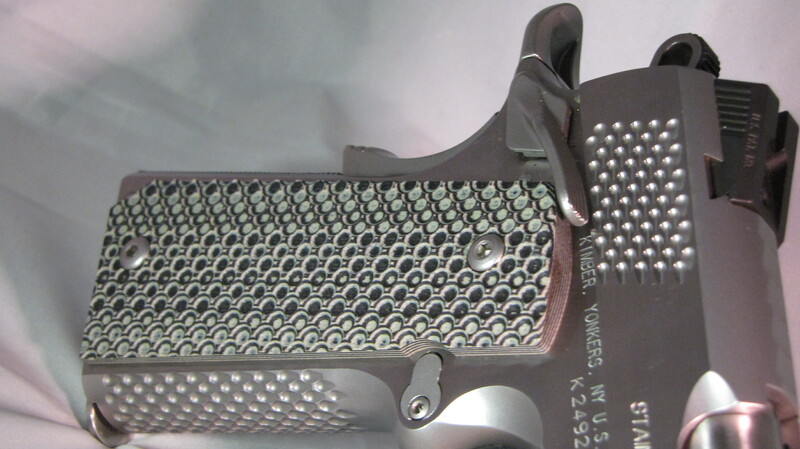 While the design theme is unique, performance is exactly what shooters expect from Kimber—unequaled. 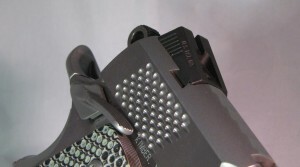 Tactical Wedge Tritium night sights, fixed. 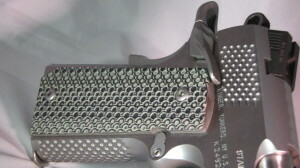 Aluminum, match grade Trigger. 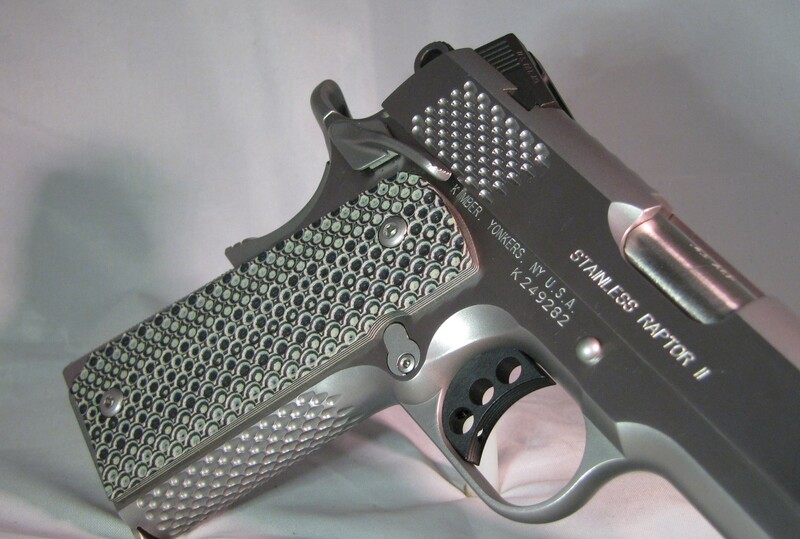 Comes with a Matched 22lr slide and magazine. 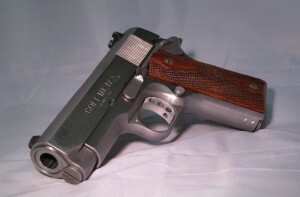 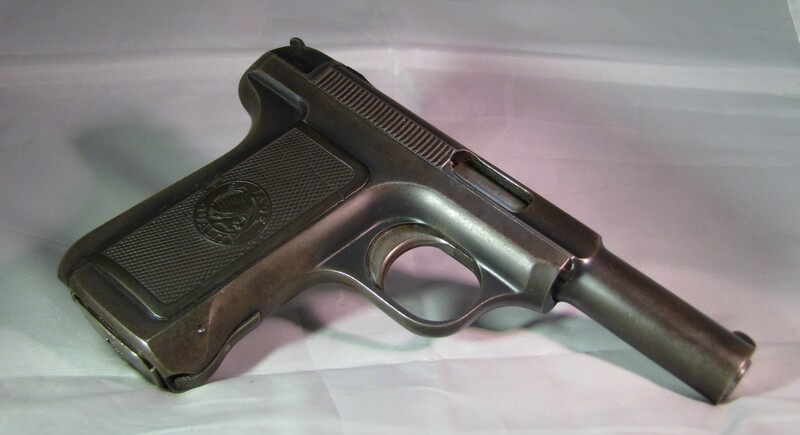 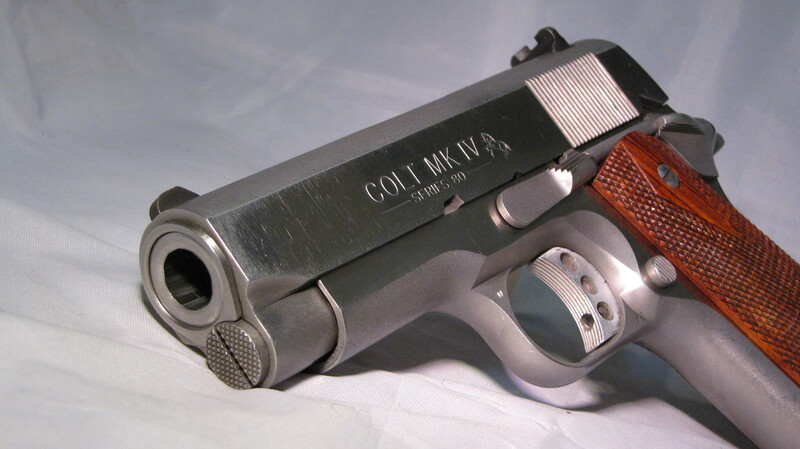 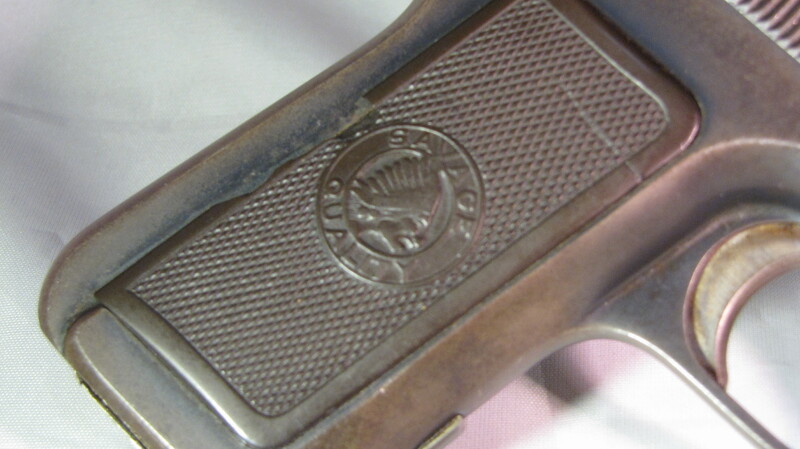 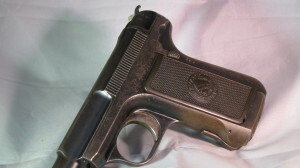 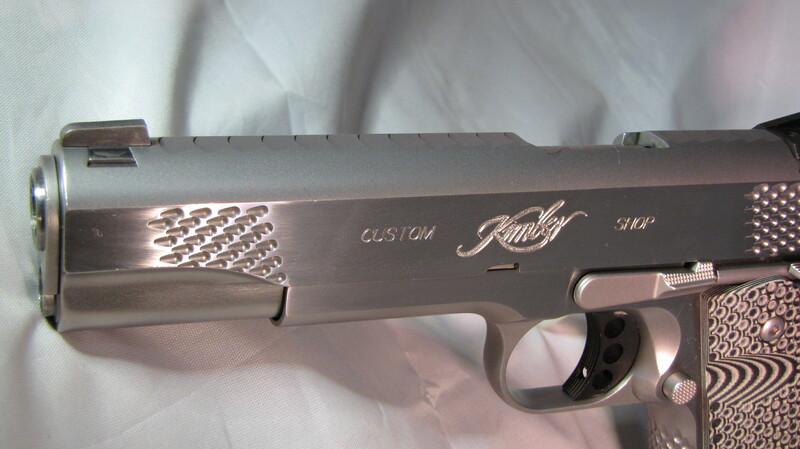 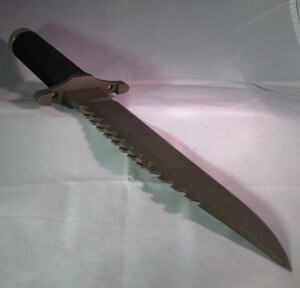 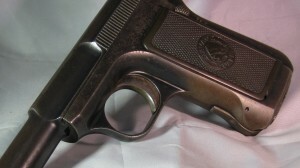 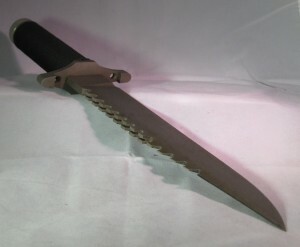 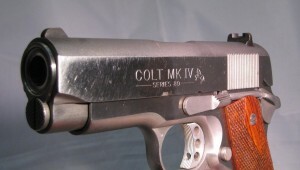 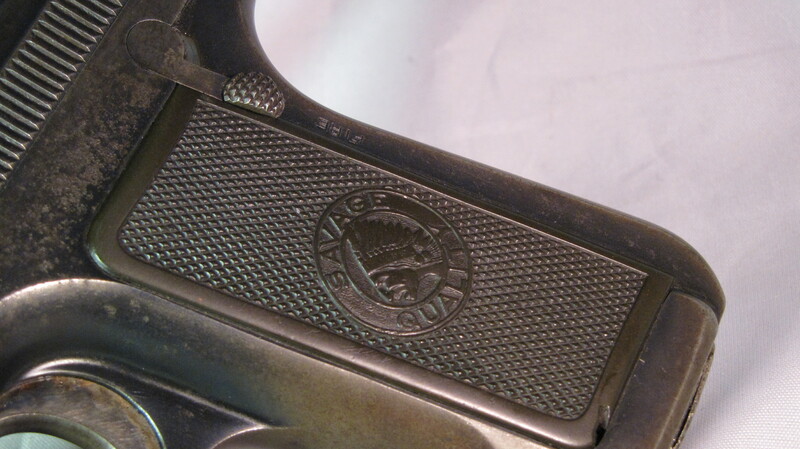 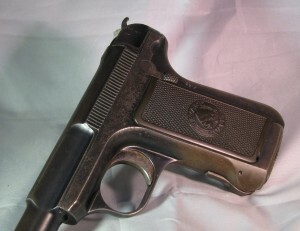 Colt series 80, or mk. iv series 80, are a line of firearms introduced in 1983 by Colt’s Manufacturing Company. 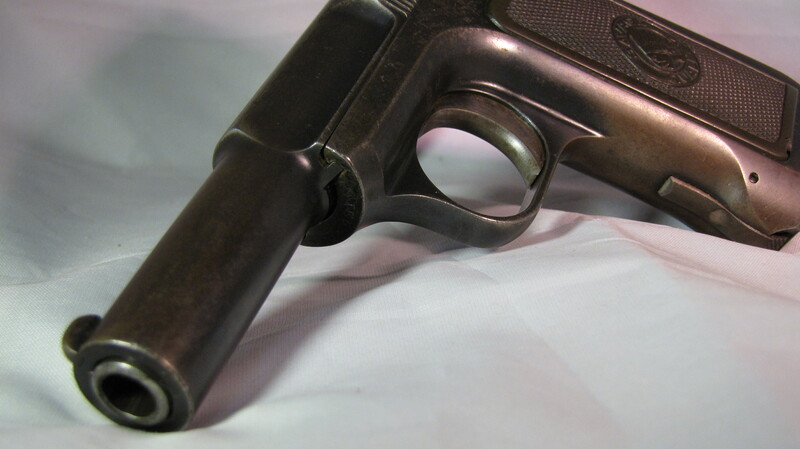 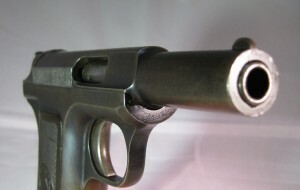 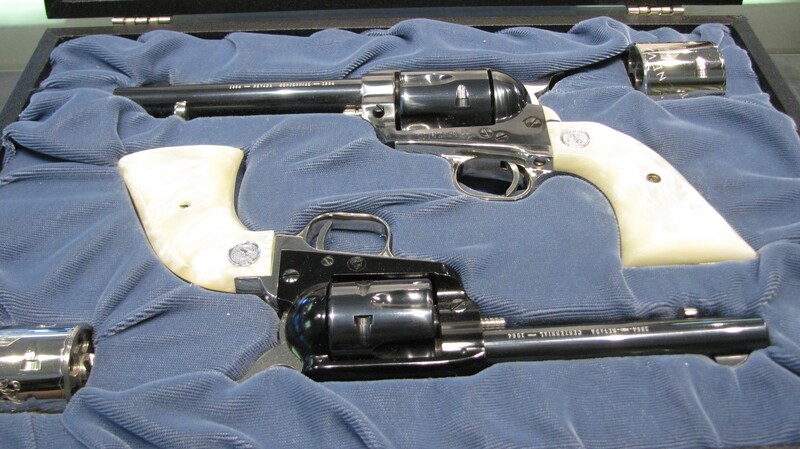 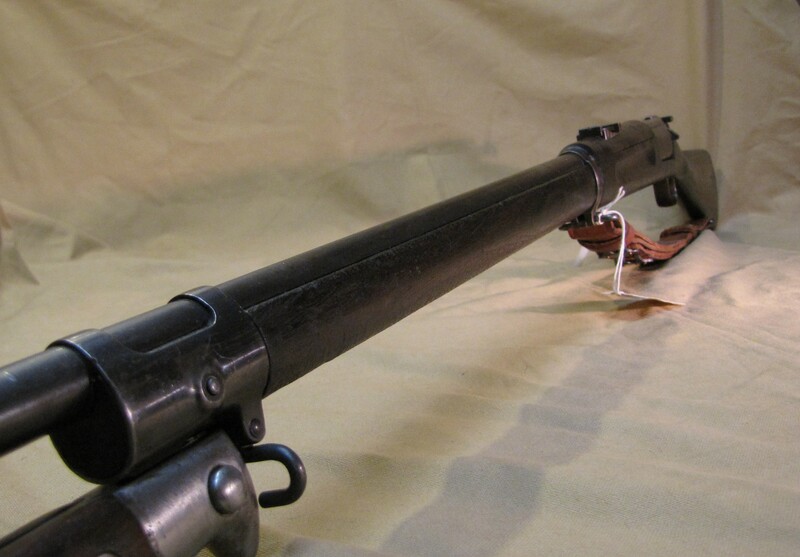 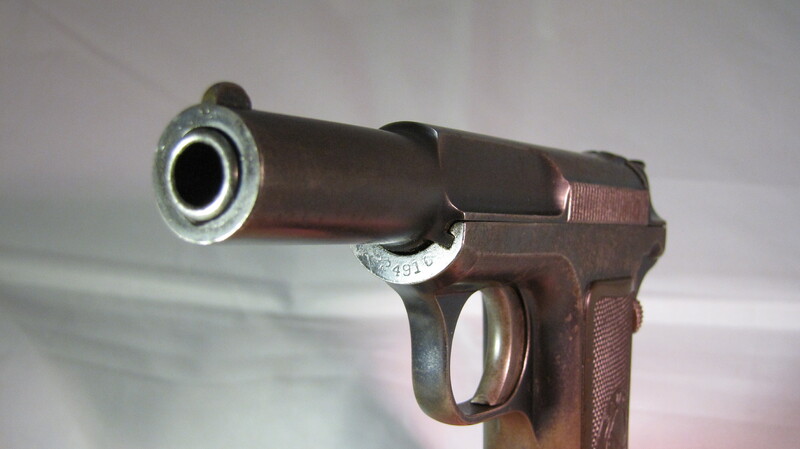 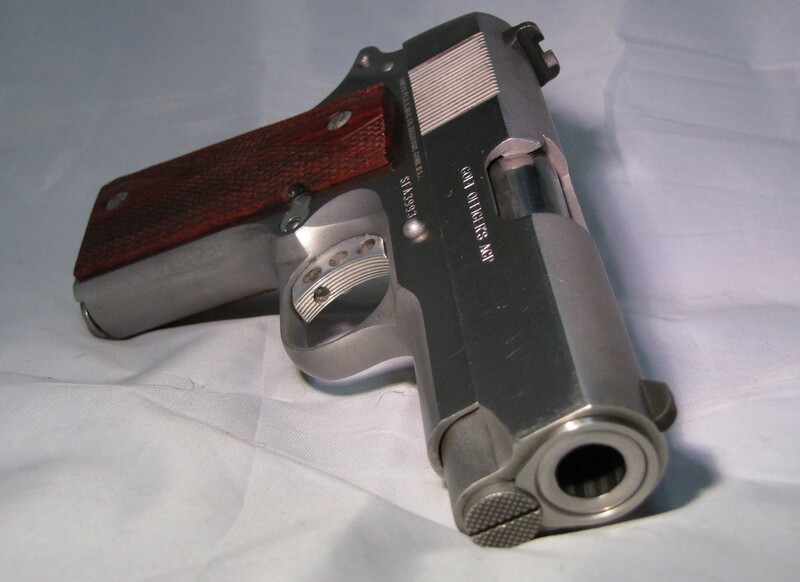 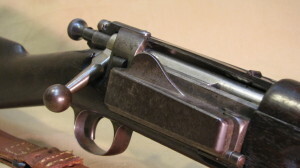 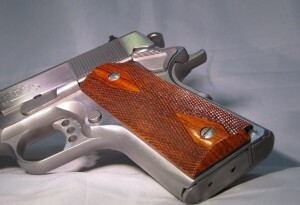 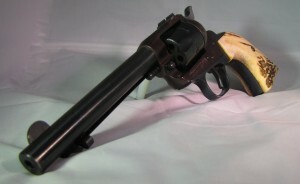 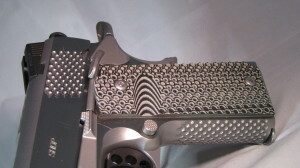 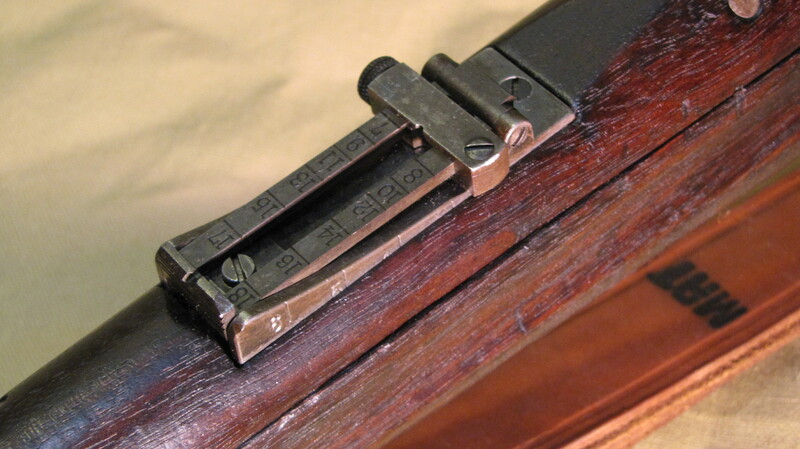 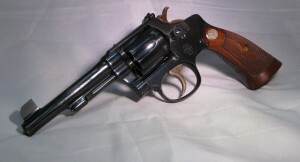 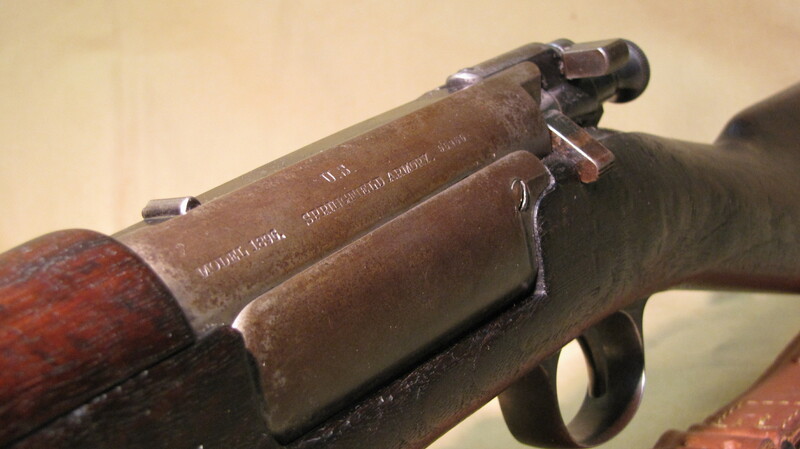 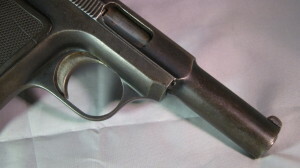 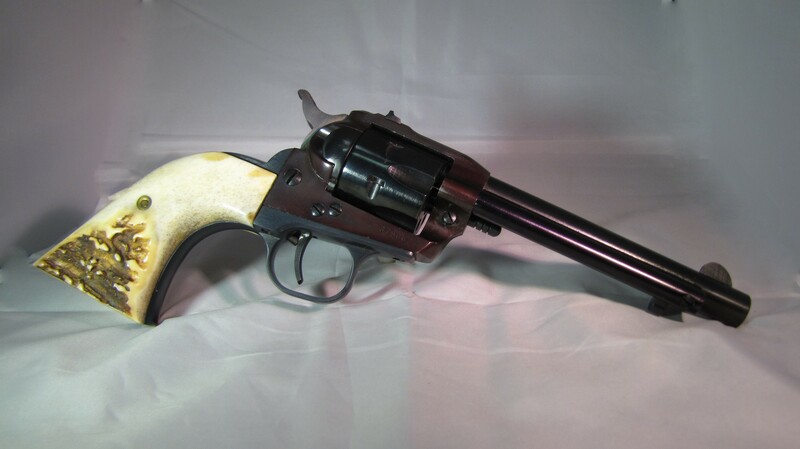 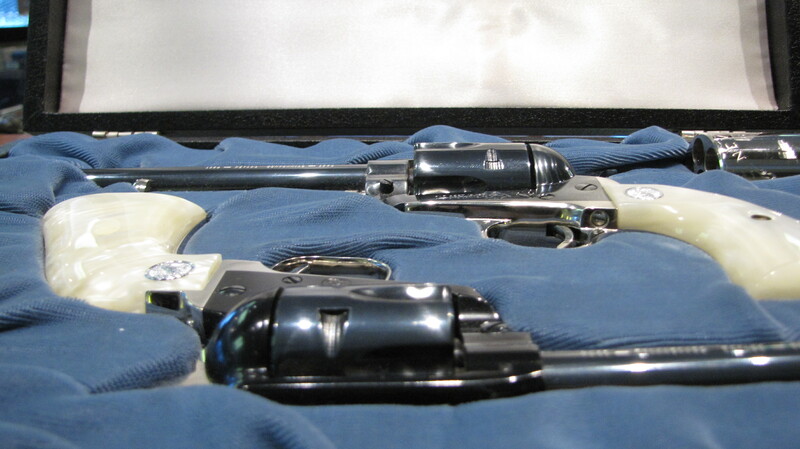 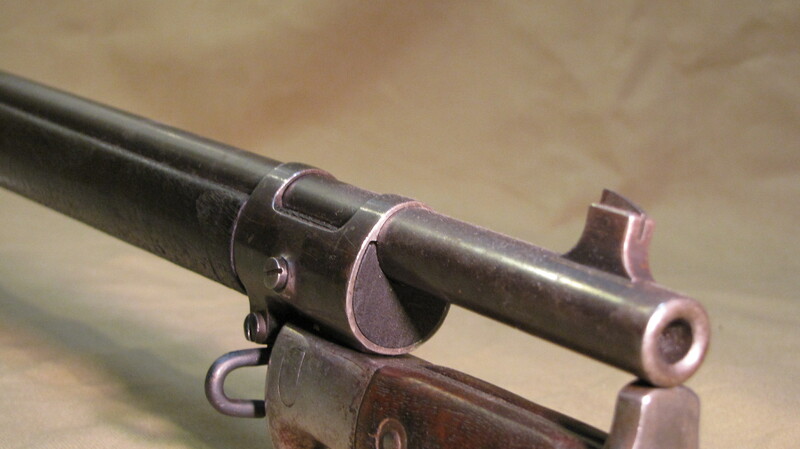 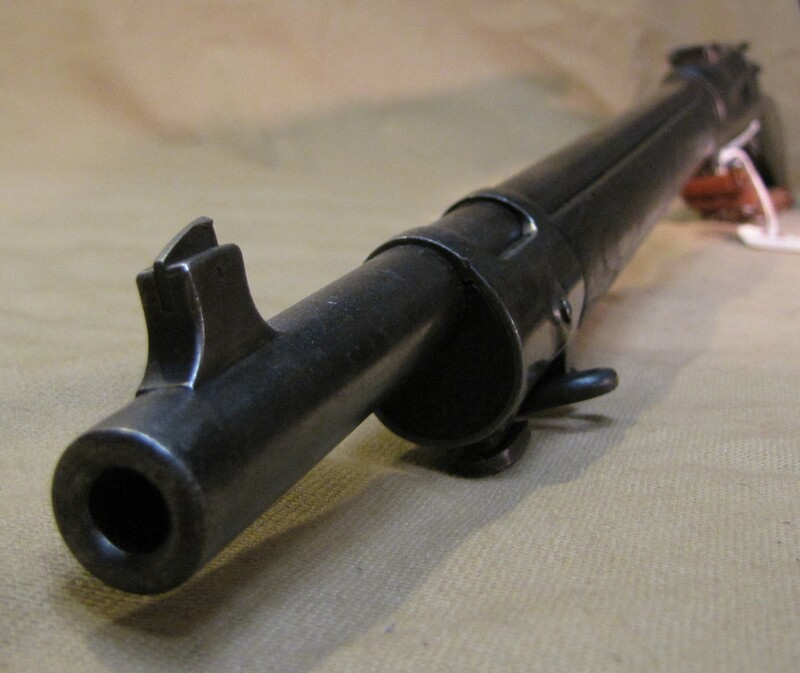 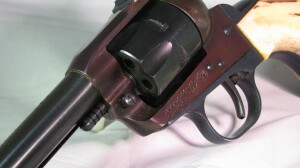 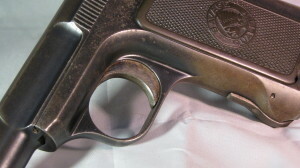 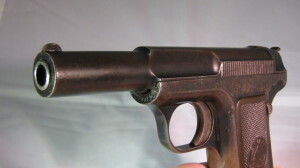 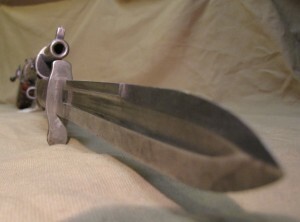 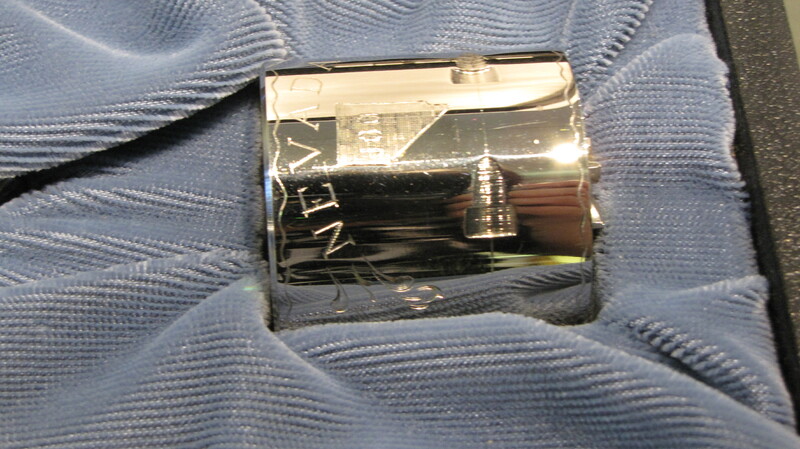 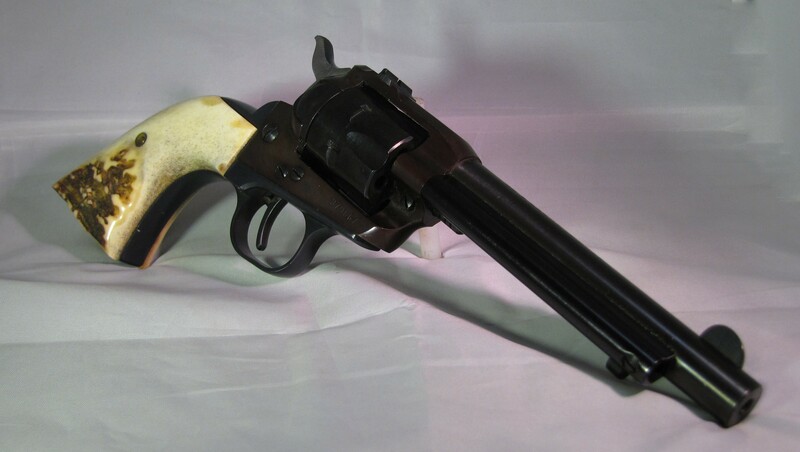 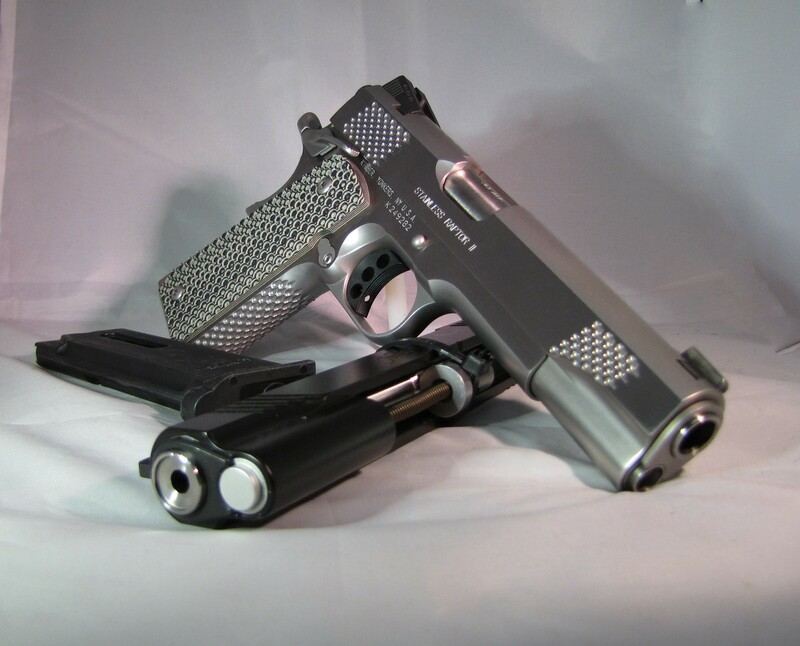 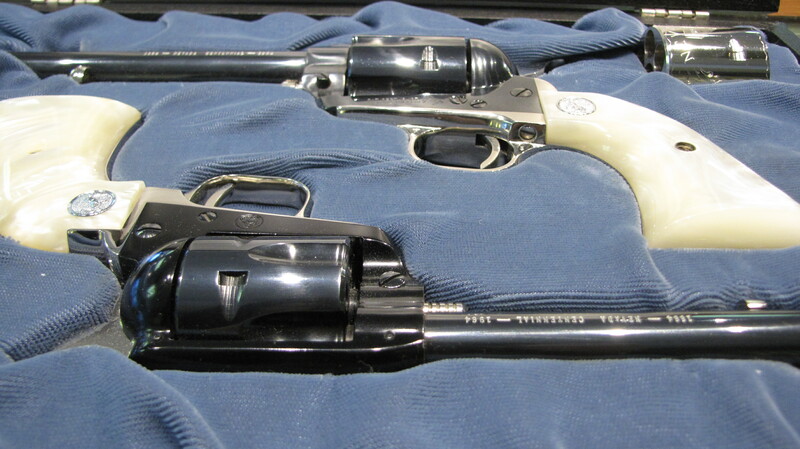 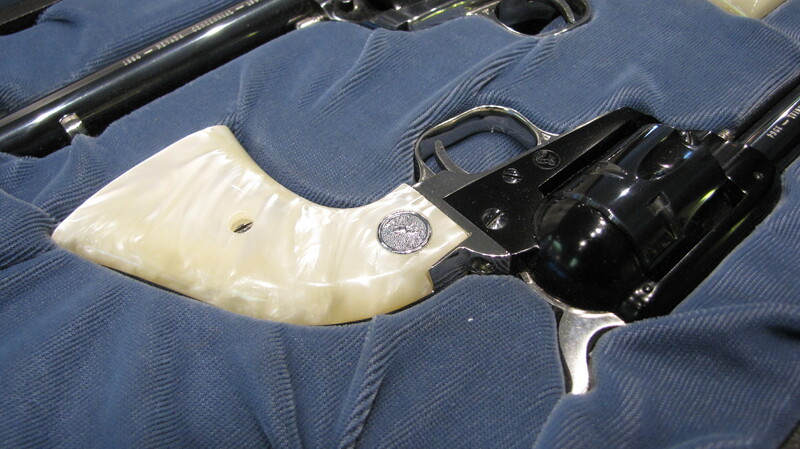 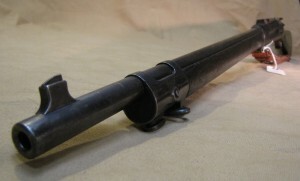 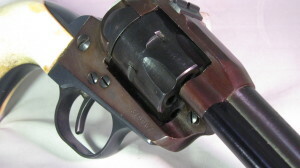 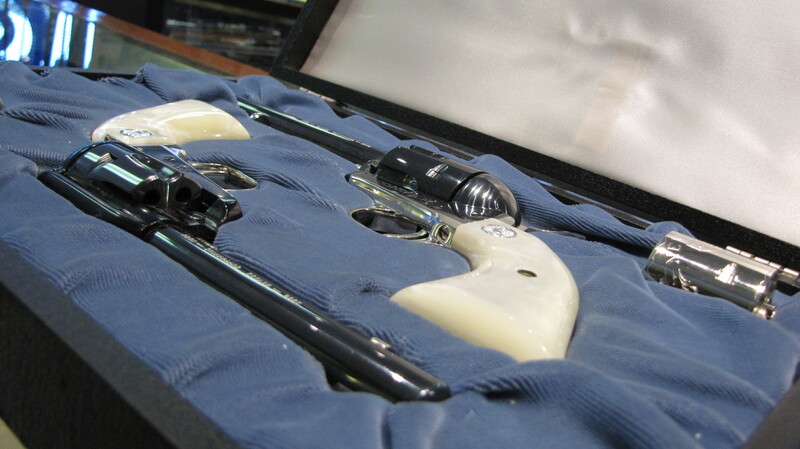 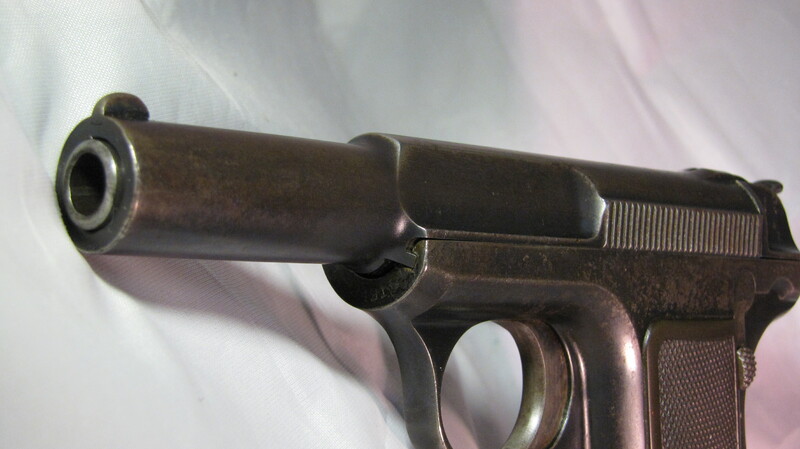 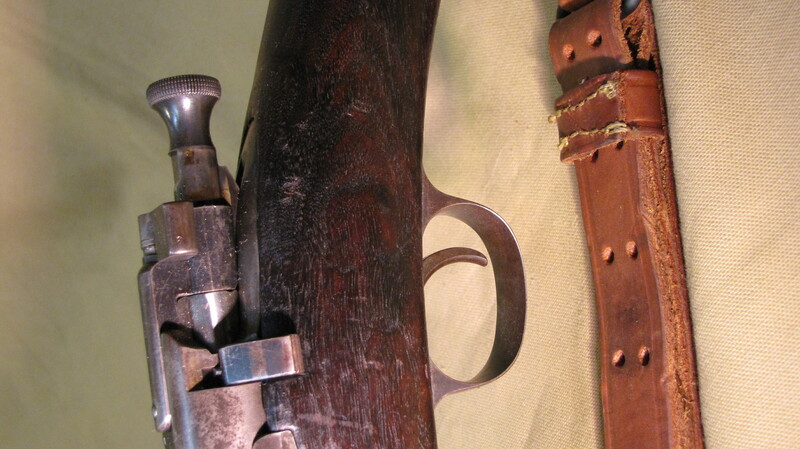 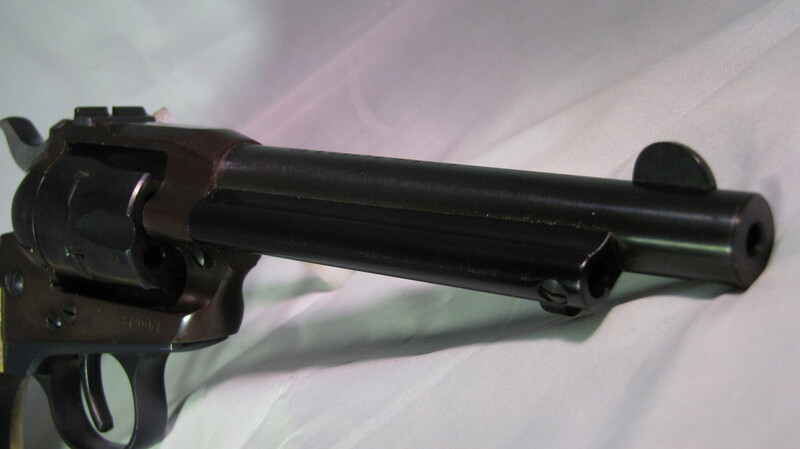 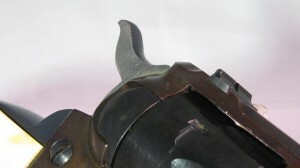 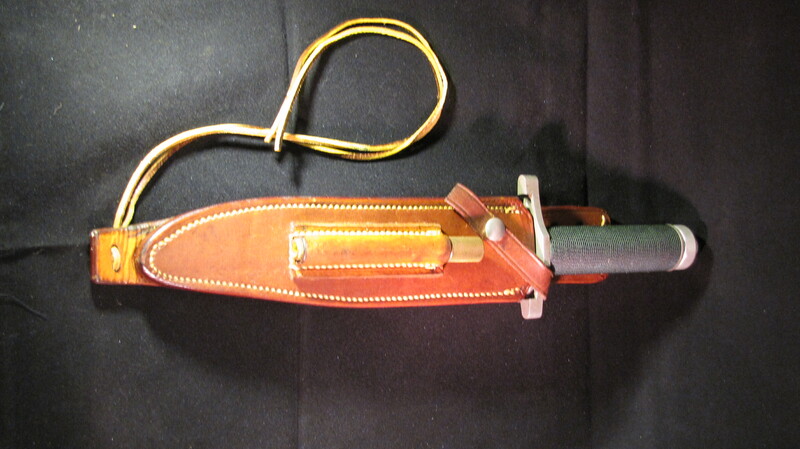 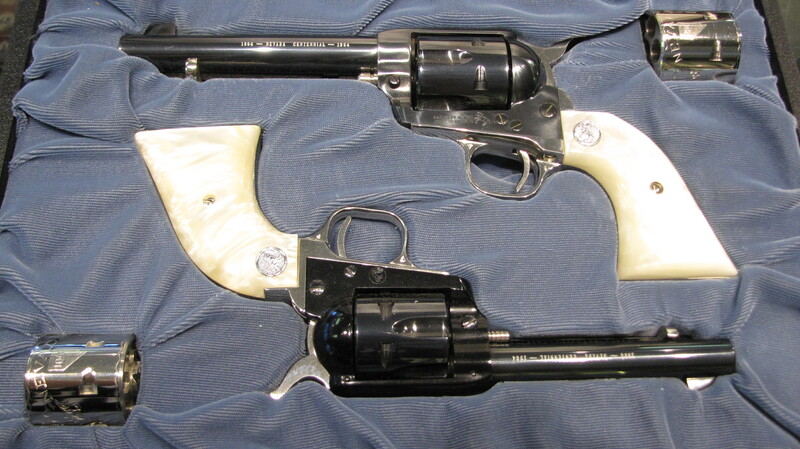 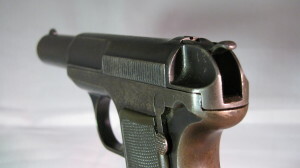 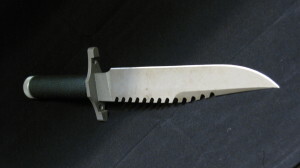 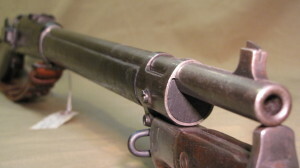 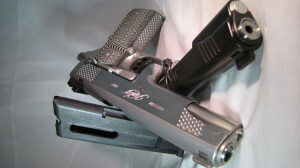 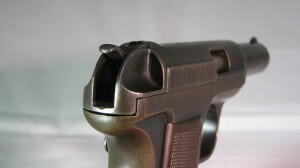 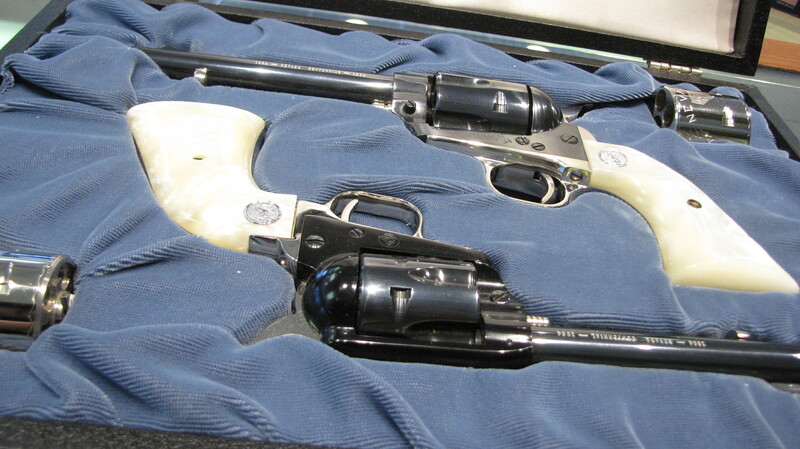 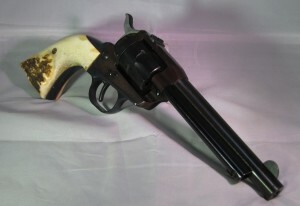 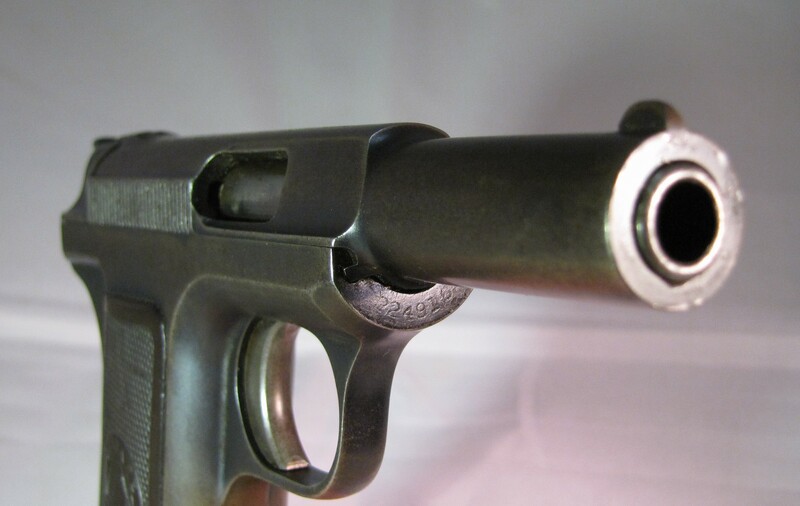 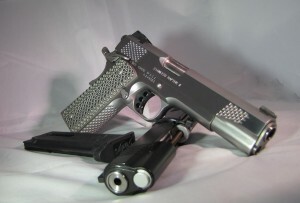 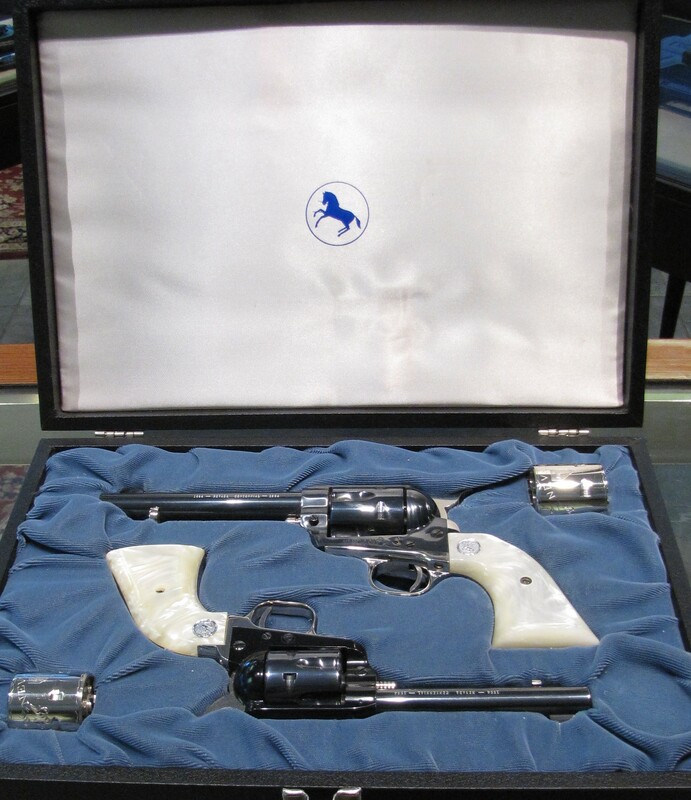 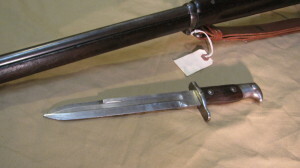 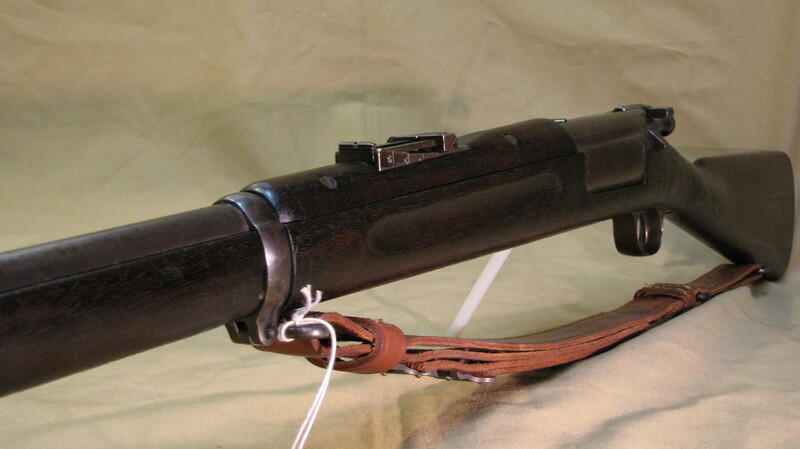 The main difference between this guns and the previous Colt series 70 is that the former incorporate a new firing pin block safety system, consisting of a series of internal levers and a plunger positively blocking the firing pin from moving until the trigger is pressed, hence eliminating the possibility of the gun going of if dropped onto a hard surface or struck hard. 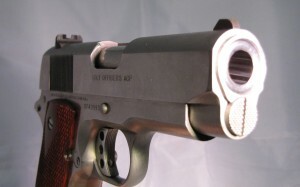 The Colt 1911 is a single-action, semi-automatic, magazine-fed, and recoil-operated handgun chambered for the .45 ACP cartridge. 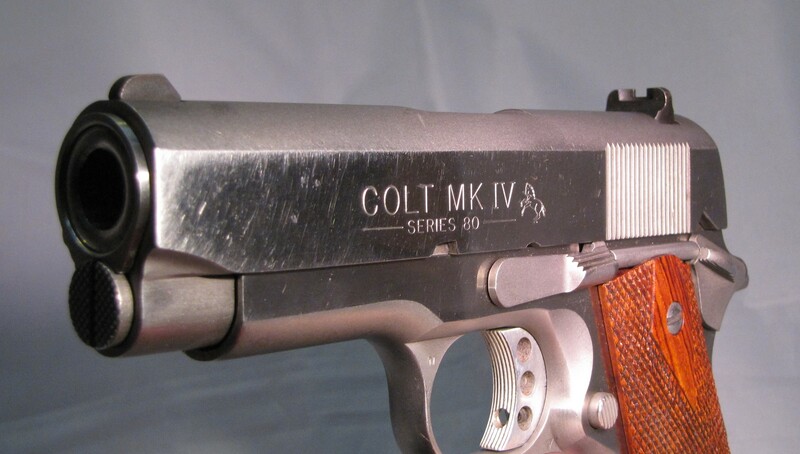 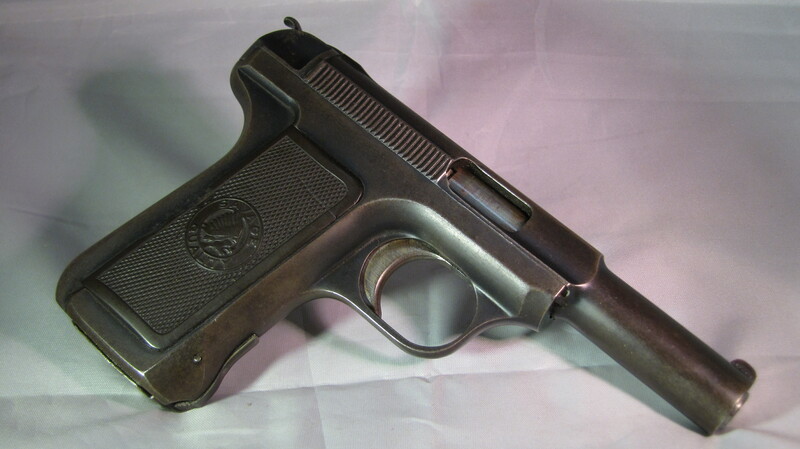 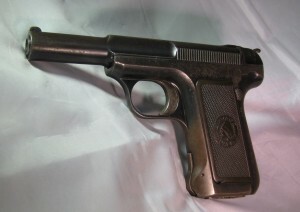 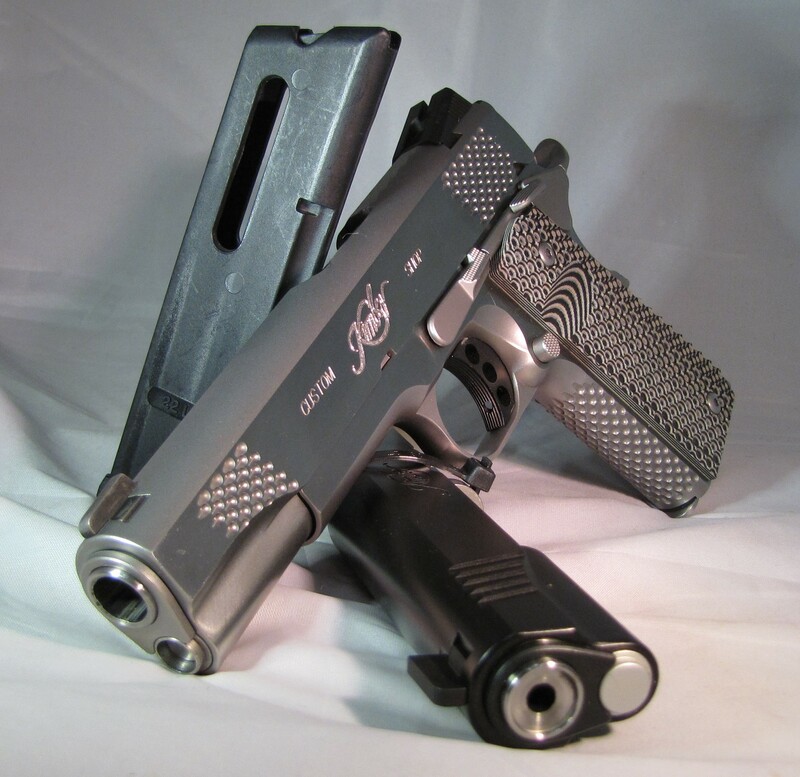 The Colt series 80 was designed by John M. Browning and is still carried by some U.S. forces. 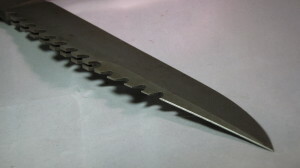 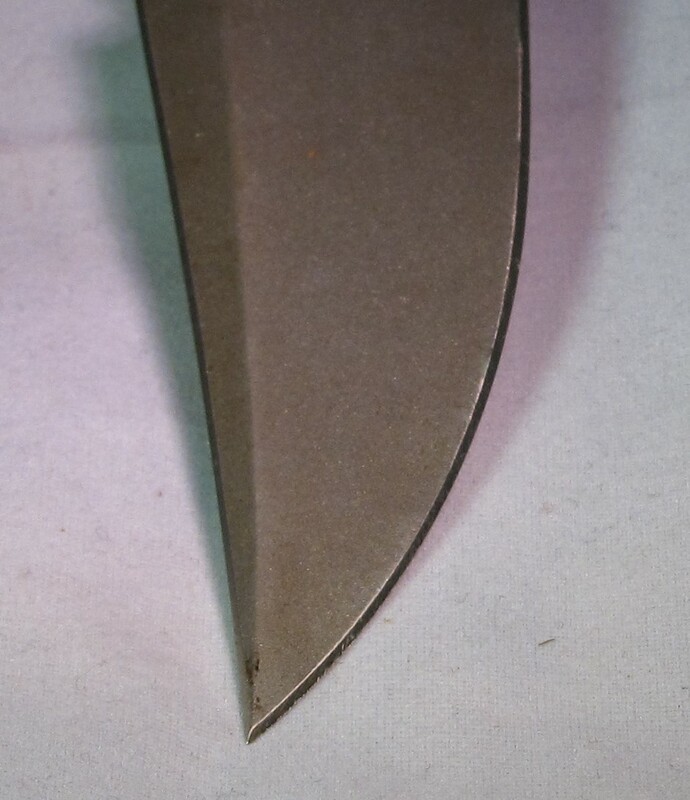 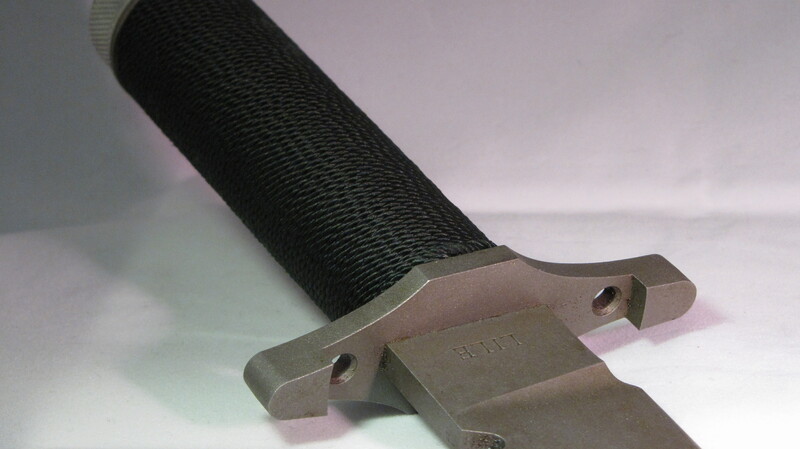 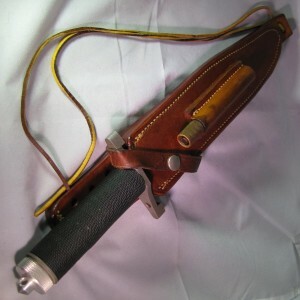 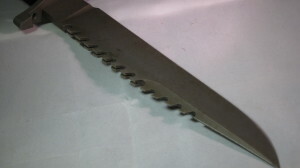 It had widespread use during World War I, World War II, the Korean War, and the Vietnam War. Currently, several law enforcing agencies and military organizations still use the colt 1911, such as the Marine Corps Special Operations Command, Los Angeles Police Department S.W.A.T. 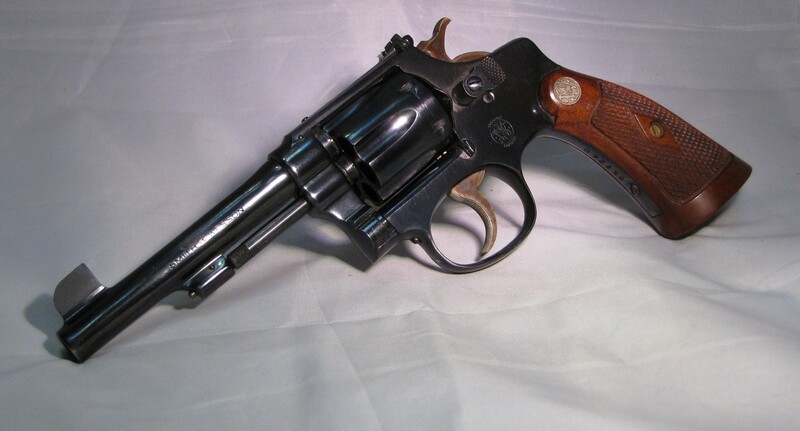 and L.A.P.D. S.I.S., the FBI Hostage Rescue Team, F.B.I. 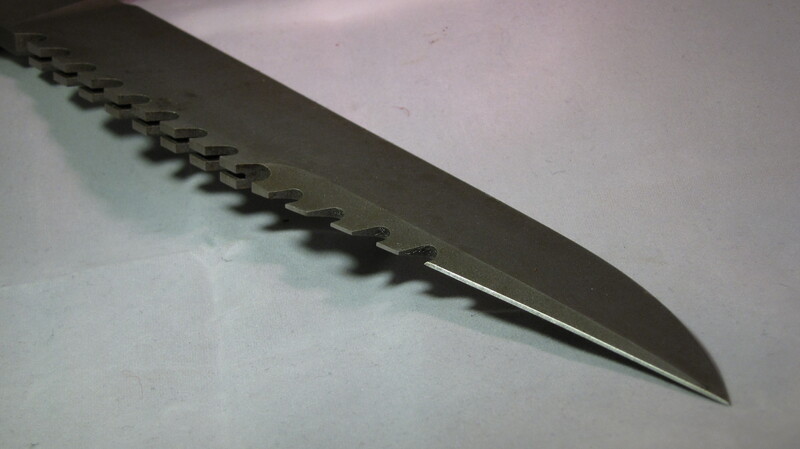 regional S.W.A.T. 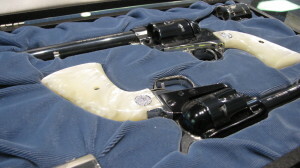 teams, and 1st Special Forces Operational Detachment—Delta and The Tacoma, Washington Police Department, in the United States alone. 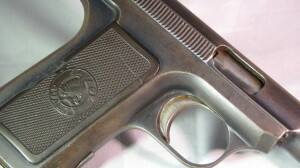 Other countries which have also used it at one point or another include Argentina, Bangladesh, Bolivia, China, Colombia, Ecuador, Fiji, Greece, Guatemala, Haiti, Indonesia, Liberia, Mexico, Nicaragua, Spain, and others. 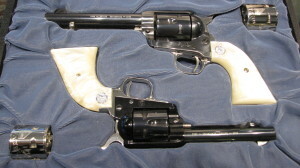 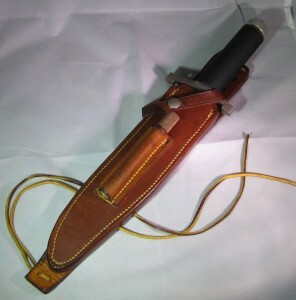 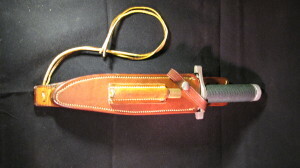 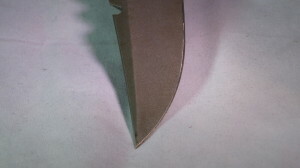 Grips both vary in color, some light cosmetic scratching on barrel. 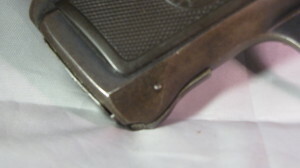 Used but in good working condition.